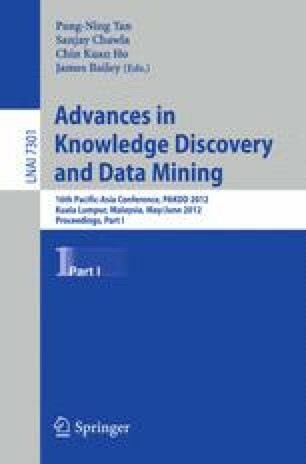 Co-clustering has emerged as an important technique for mining relational data, especially when data are sparse and high-dimensional. Co-clustering simultaneously groups the different kinds of objects involved in a relation. Most co-clustering techniques typically only leverage the entries of the given contingency matrix to perform the two-way clustering. As a consequence, they cannot predict the interaction values for new objects. In many applications, though, additional features associated to the objects of interest are available. The Infinite Hidden Relational Model (IHRM) has been proposed to make use of these features. As such, IHRM has the capability to forecast relationships among previously unseen data. The work on IHRM lacks an evaluation of the improvement that can be achieved when leveraging features to make predictions for unseen objects. In this work, we fill this gap and re-interpret IHRM from a co-clustering point of view. We focus on the empirical evaluation of forecasting relationships between previously unseen objects by leveraging object features. The empirical evaluation demonstrates the effectiveness of the feature-enriched approach and identifies the conditions under which the use of features is most useful, i.e., with sparse data.